Companies, research facilities and training centres from the world of advanced manufacturing technologies and machining are to participate in the Twentieth Congress of Machine-Tool and Manufacturing Technologies, which shall be held at the San Sebastian Technology Park from 10 to 12 June 2015. This event is a twice yearly forum that presents the latest technological trends currently being worked on by national and international research bodies and private companies in the sector. 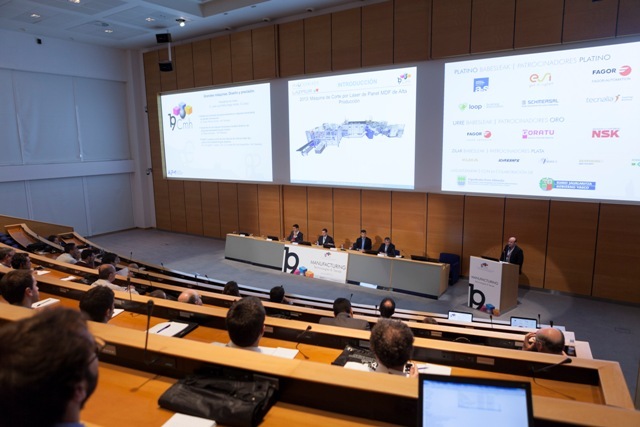 This congress includes over 40 papers on the latest trends in industry 4.0, the different uses of laser: additive manufacturing, heat treatment, cutting, etc., robotics and process automation, zero defect manufacturing: metrology, precision control and also the latest advances in the aeronautics sector. The congress gives visitors the opportunity to see technical presentations on subjects of major current interest in metal-mechanic manufacturing and is also an excellent networking forum for participants, enabling businessmen, technicians, researchers, scientists, students and educators to share their experiences. Round tables shall be organised to debate on the latest issues and concepts in advanced manufacturing. There will also be a posters section and an attractive exhibition area where new technologies can be de presented and real and tangible results can be shown. Since 1976, AFM, through its technological unit INVEMA, has organised the Congress of Machine-Tools and Manufacturing Technologies on a two yearly basis to serve as a forum to exchange knowledge in advanced production technologies, where the latest advances in the sector are presented to promote their application in production processes. Technology centres such as the IK4 Research Alliance, represented by Ideko and Tekniker, Tecnalia, Aotek, Koniker, the main universities in the region (UPV, Tecnun, Mondragon Unibertsitatea and IMH), the Spanish Engineering Manufacturing Society (SIF) and leading manufacturing companies have collaborated for many years with AFM to give greater structure to scientific material and present the most advanced subjects of interest to specialist technicians working in advanced manufacturing.